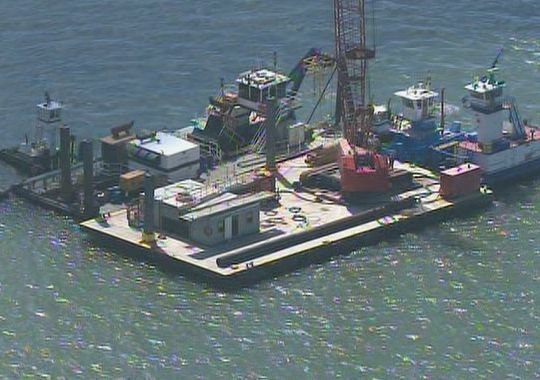 The 47 meter long dredger Texas Cutter collided with a barge in the Intracoastal Waterway off Galveston, Texas. The dredge was working off a landing when it became unmoored and went adrift. The crew attempted to stop the drift using the dredge’s spud, a long post that is hammered into the sea floor. The spud was bent by the abrupt stop. The Texas Cutter remained stuck in the center of the waterway blocking traffic. No reports of injuries or pollution released. The Coast Guard was on scene to assist on dislodging the dredge. Reports state a barge struck the dredge during the incident, but no reports of damage to either vessel.